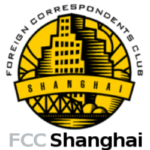 We are seeking one or two detail oriented people to assist the Shanghai Foreign Correspondents’ Club with communications and events. The best fit for this position is someone who communicates well in English, is detail-oriented, and also enjoys attending speaker events and networking with foreigners in the media, journalism, law, business and public relations fields. It’s a great gig for the right person; The most successful club managers are motivated to keep up to date on newsmakers in the China space, and enjoy forging relationships with new restaurants and venues. Our communications platforms are Eventbank and WordPress, which are easy to use with basic training. —Assist the board with outreach, speaker communications and other initiatives (as needed). These tasks can be managed by one person or parsed out to separate individuals. Must be Shanghai-based and communicate well in English. There is some pay. Both Chinese nationals and foreigners welcome.